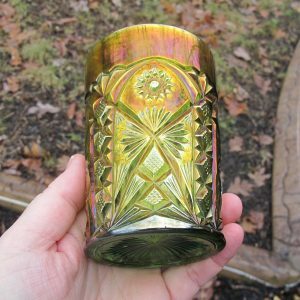 Millersburg Glass Company, formerly of Millersburg, Ohio, made high quality glass for only a short time: 1909-1913! 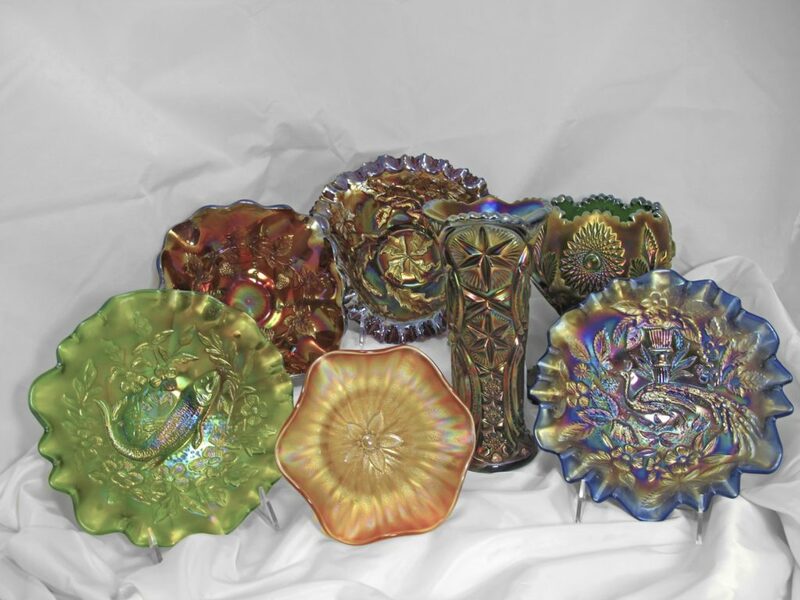 This company had the shortest life of all of the early U.S. carnival glass makers. 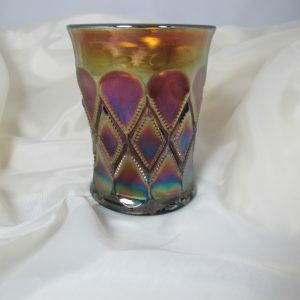 CarnivalGlass.com has a wide variety of antique Millersburg glass for sale. 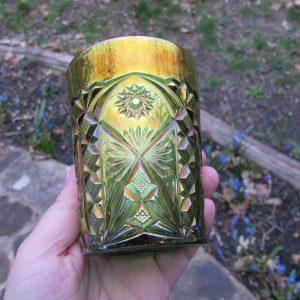 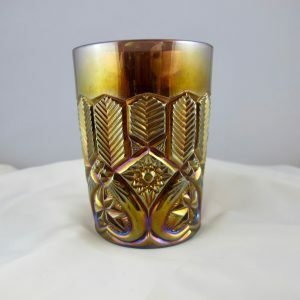 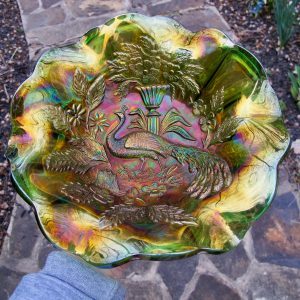 We endeavor to provide a nice selection of antique Millersburg glass for sale, but if you don’t see what you’re looking for, please email or call! 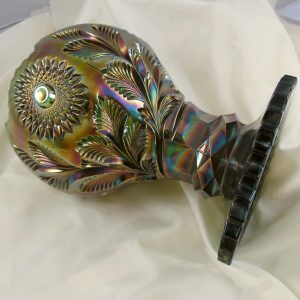 The Millersburg Glass Company was founded by John Fenton after he left Fenton Glass Company. 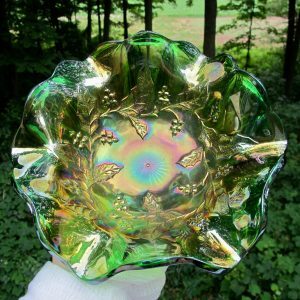 The company only made glass for a short time. 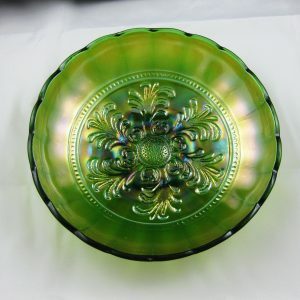 They were noted for their Radium finish. 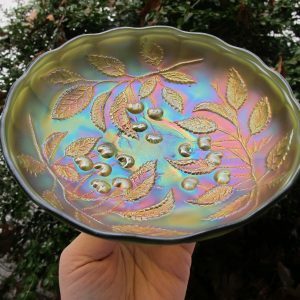 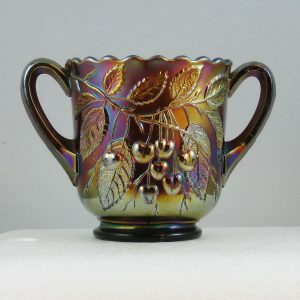 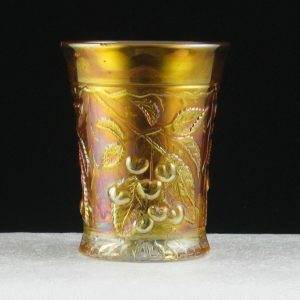 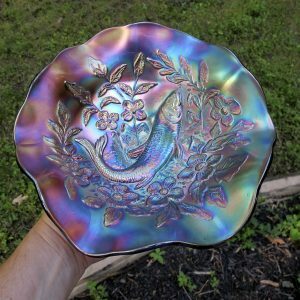 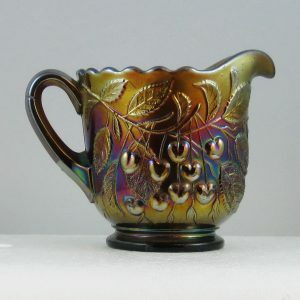 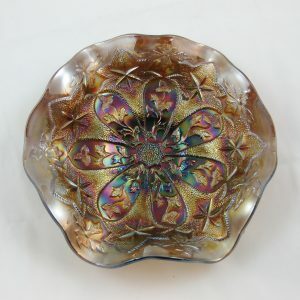 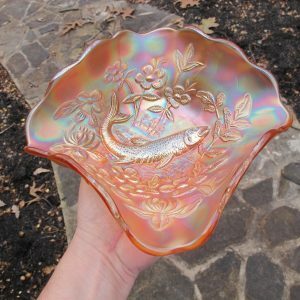 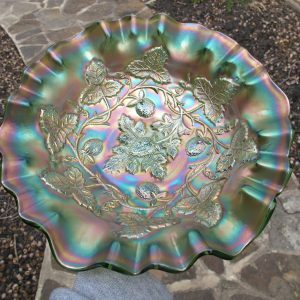 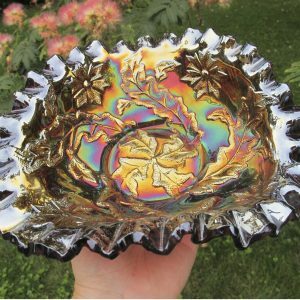 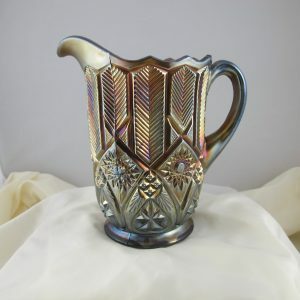 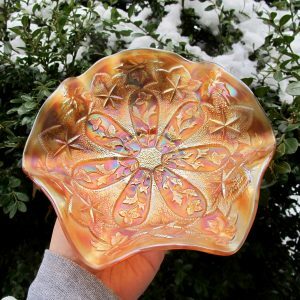 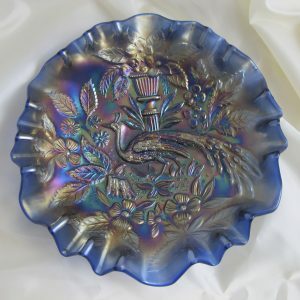 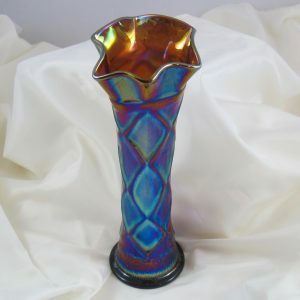 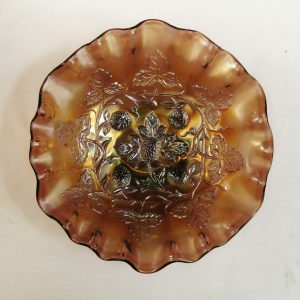 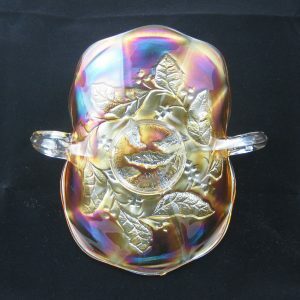 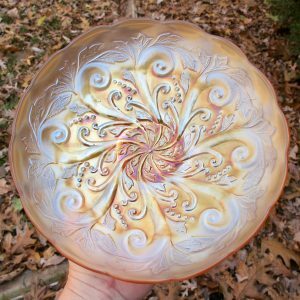 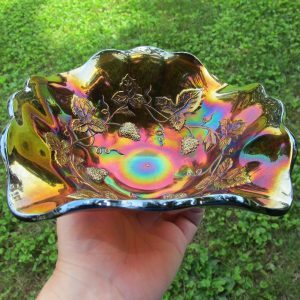 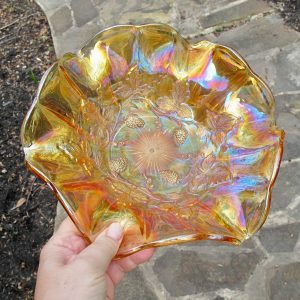 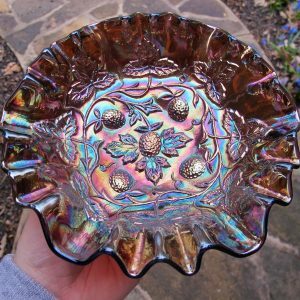 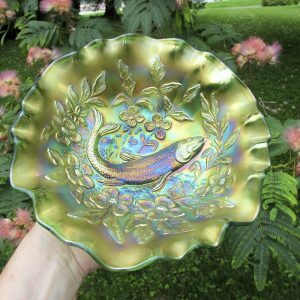 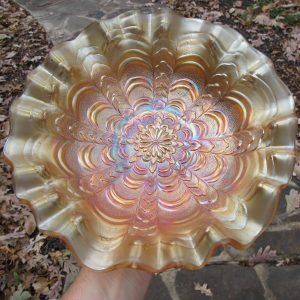 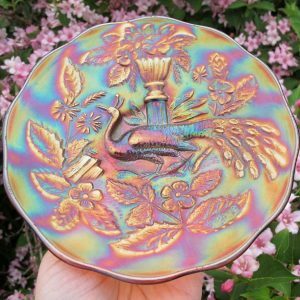 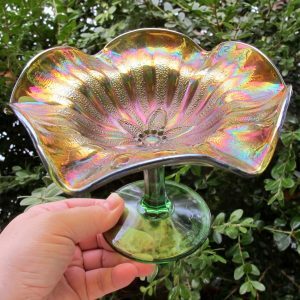 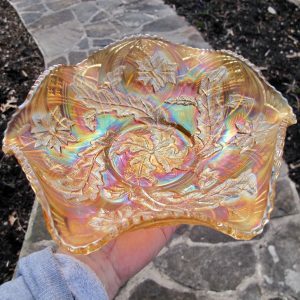 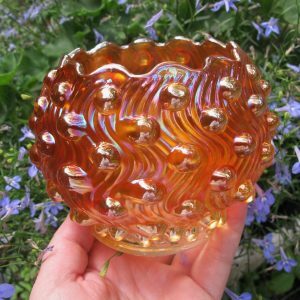 CarnivalGlass.com offers antique Millerburg glass for sale in a large variety of colors, patterns and shapes. 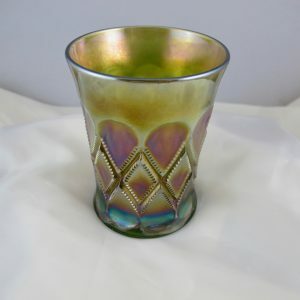 Check back often to find new pieces of antique Millersburg glass for sale.